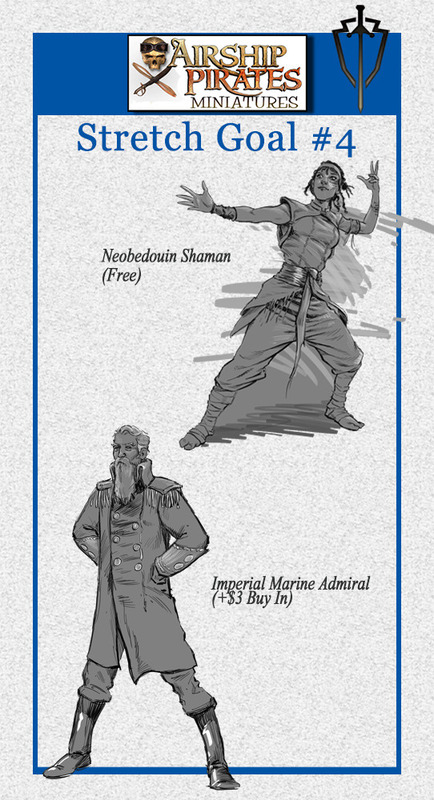 Silver Fox Productions has been heading through stretch goals for their RAFM Airship Pirates. There's still 21 days to head through more. Bringing back the Imperial Marines. We have added a new mini-stretch goal and there is no deadline this time. Our goal, 125 Backers! 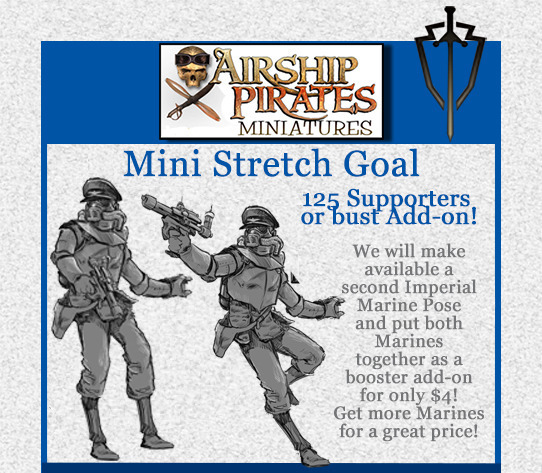 Your Reward - we will add a second pose of the Imperial Marine as an add-on item! Plus we lowered the price. That's right, get the two Imperial Marines as an optional add-on for only $4. More great miniatures at a great price! So let's get out there and get some new supporters and get these miniatures opened! In case you think this looks familiar, yes we had this as a mini-stretch goal before, and no it wasn't achieved then.